I don't know if I think Resort collections are relevant, but they are fun to review. Their sole purpose of commercial success means there isn't really a message to decipher or a concept to pick apart, and it's mostly based just on how visually appealing the clothes are. As Alber Elbaz told style.com, "Pre-collection isn't about an image or a direction. It's about a woman, a desire, a need. What do women want?" Isn't that fun? I don't have to wonder what Rei Kawakubo's two-word explanation of cotton tumors means, and can instead just sit at my computer and stare while saying either "OOOH, PRETTY COLORS" or "ME NO LIKE." Keepin' it classy, as usual. Bottega Veneta (ph. 1, 6, and 9.) For lack of better word, wowowow. I never find myself unable to attach the word "fresh," annoying and abused as it is, to a Bottega collection. Tomas Maier has the greatest sense of color (better displayed in the resort posts I have to come) and every look is always just cut to the chase with the most important details there -- stated, simple, not touched or bothered by any other guilty pleasure add-ons. The flats here are too perfect. And this is like, a SPRING collection. 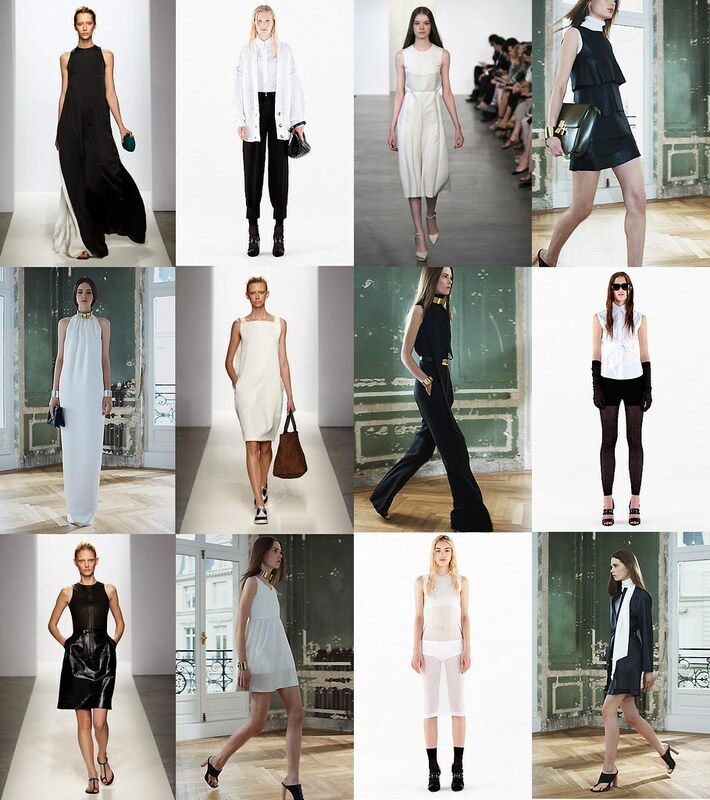 Seriously, that first dress is resort!? Jesus! I often wonder whether or not, if I was the kind of grown-up person who thoughtfully spent lots of money on clothes, I would spend it on resort. In many cases it's the label's team and not the actual designer that does most of the designing, and it's much harder to emotionally connect with a resort collection than a Spring or Fall one. But this collection in particular is just so so next level. Alexander Wang (2, 8, 11.) Though I am normally a socks and sandal person -- almost ALWAYS a socks and sandal person, because feet are ugly -- something felt overly stuffy about the sock usage here. Something was stuffy about the collection overall, but most of it I dug, especially the transparent dresses over sporty underthings. Something is so right! Calvin Klein (3.) This is another one where I would've guessed it was a Spring collection if I didn't know it was resort. So serene. So serene that I feel too calm and serene and stuff to think of a better description. PS, why does the blogosphere not freak out about Francisco Costa more often? The man creates wonders!